Dr. James Stigler, who is widely recognized for his research into teaching and learning methodologies and is considered a leading authority on K-12 comparative math teaching and learning globally, has been named the first Fellow of the Precision Institute at National University. In his role as an Institute Fellow, Professor Stigler will contribute to developing and sharing research that aligns with the Institute’s mission of expanding data-driven approaches to identifying and applying effective personalized learning methodologies in higher education. A Professor of Developmental and Cognitive Psychology at UCLA, Dr. Stigler will be the featured speaker Sept. 27 as part of the Institute’s Distinguished Speakers Series at the Sanford Education Center/National University’s administrative headquarters in San Diego, Calif. He will be speaking on the topic of “Teaching for Understanding: What Will it Take?” -- a topic of particular relevance to educators interested in understanding the most effective kinds of learning for students in both online and face-to-face environments. Aiming to address some of the most challenging issues confronting higher education today, National University, which serves more than 28,000 primarily-adult learners on campuses and online, is leading a four-year $20 million Precision Education initiative through its recently-launched Precision Institute at National University. The initiative involves piloting new approaches to personalize higher education through advanced technologies that adapt to individual student needs and interests with the intent of better serving a diverse student population to college completion. Dr. Stigler joined UCLA in 1991 after eight years at the University of Chicago. 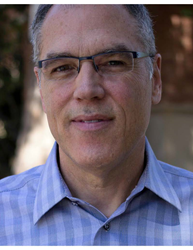 In addition to his faculty position, he served as Associate Dean for Research and Innovation, UCLA Division of Social Sciences, from July 2011 to 2016. He is Senior Fellow, Carnegie Foundation for the Advancement of Teaching; Fellow with the American Psychological Society; Fellow with the American Educational Research Association; and Member of the National Academy of Education. His research into teaching and learning methodologies has received federal funding support from the IES, NSF, and multiple philanthropic foundations. He is the co-author of two popular books: The Teaching Gap (with James Hiebert) and The Learning Gap (with Harold Stevenson), and is an advocate of using data metrics to better understand how students learn and respond to educational stimuli. Considered a world authority on K-12 comparative math teaching and learning globally, Dr. Stigler led the video portion of the Trends in International Mathematics and Science Study (TIMSS) summarized in the 1999 U.S. Department of Education landmark report on teaching and learning differences in students in math globally, which pointed out clear deficiencies in the U.S. Through his higher education research with the Carnegie Foundation, Dr. Stigler and colleagues have worked to understand deficiencies in math understanding in entering community college students and to address those. In addition to his research into the improvement of teaching and learning, Dr. Stigler has founded two education technology companies: Lesson Lab, a video-based teacher learning company later sold to Pearson, and Zaption, a video learning platform acquired by Workday in 2016. The Precision Institute at National University is leading research and testing in advanced technologies, open education resources, and predictive analytics with the aim of developing a unique inter-connected and dynamic learning platform. To achieve this goal, the Institute is advancing current and future partnerships in coordination with faculty; educational organizations; and education technology partners, and leading global experts and researchers, which includes identifying Fellows to be involved with projects that align with the Institute’s goals.